Design: Cutting edge without bevel for absolute flush cutting. Maximum service life of cutting edge achieved through additional inductive hardening to approx. 64 HRC. With opening spring. Surface resistance 10^6 - 10^9 ohms. 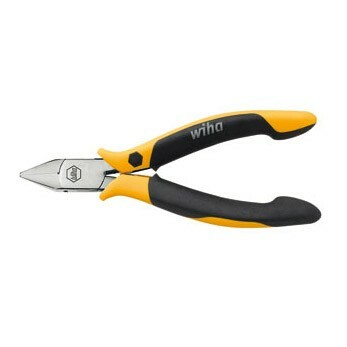 Application: For absolutely flush cutting of copper wire.